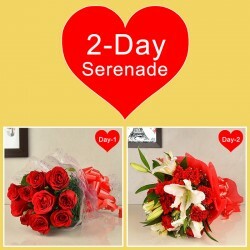 This Valentine’s Day, make the grandest expression of love with Valentine’s Day serenades from MyFlowerTree. Send this heartfelt Valentine gift to your special one & you are all set to weave a memory that shall be remembered for a lifetime. 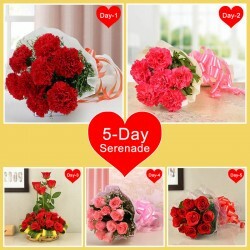 Expressing love everyday is something that surely touches the heart. 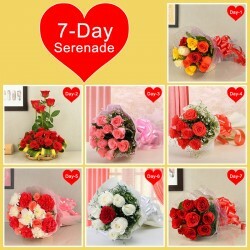 But when it’s Valentine’s Day, you got to make it super special unlike all other days. 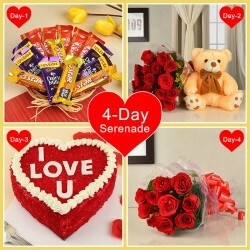 So, during this season of love, plan something super special for your sweetheart. Wondering what it could be? 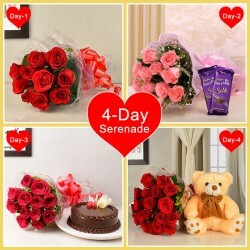 Well, it’s time to shower them with gifts and pamper them like never before with Valentine’s Day serenades from MyFlowerTree. Since, Valentine’s is all about love and expressions of love, do not sit back but make sure that you make the full use of this time by stealing the show. 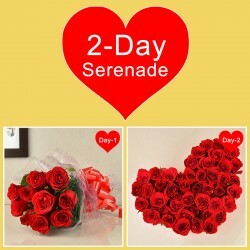 MyFlowerTree is all set to help you do the same by just ordering Valentine’s Day serenades online during this special occasion. 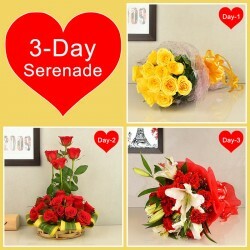 We, at MyFlowerTree make sure that your gifts express your love filled thoughts. 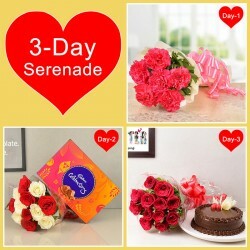 And that is why, we bring you a variety of Valentine’s Day serenades to choose from. 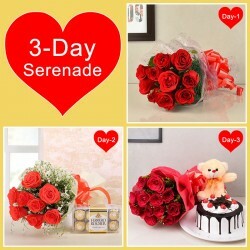 We have beautiful assortment including 2 days Valentine serenades, 3 days valentine serenades up till 8 days. 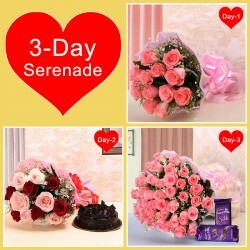 Therefore, whether you wish to send a surprise for two or three days or for the entire Valentine week, you may choose as per your convenience. 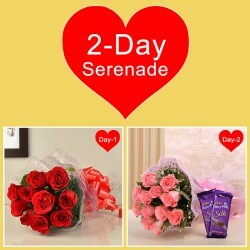 We have serenades that are carefully assorted to make a beautiful combination. 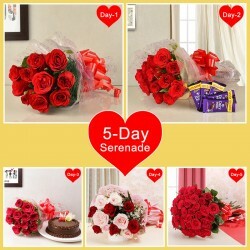 Say, a 5 day valentine serenade consists of different gifts on 1st , 2nd , 3rd day till the 5th that includes Valentine’s chocolates, cakes, personalised rose bouquet and so forth. 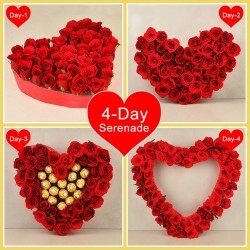 Likewise, a 7 day Valentine serenade is the ultimate love saga that consists of roses, ferrero rochers, customized Valentine’s chocolates, heart shape Valentine rose arrangement; each on different days. 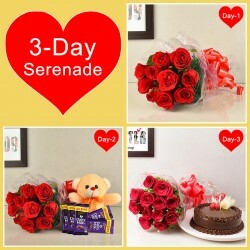 Doesn’t it all seem romantic, already? 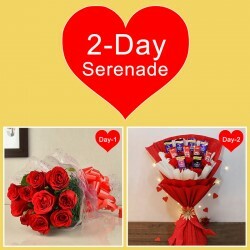 Skip the queue and save yourself from the hassle of choosing each Valentine gift from stores when MyFlowerTree, your reliable online gift portal is here to help you with Valentine Day serenade delivery in India, no matter in which part of the country your dear one resides. 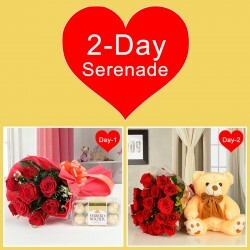 Not just this, we also provide same day and midnight delivery of Valentine gifts your present extra special.Don’t give second thoughts. 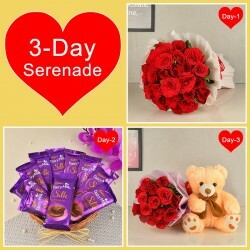 Make your beloved go head over heels for you with amazing range of Valentine serenade gifts from MyFlowerTree and strengthen your bond.